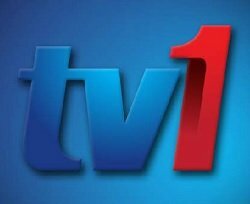 News TV Channel / TV1 is a Malaysian public, free-to-air television channel owned and operated by Radio Televisyen Malaysia. Launched on 28 December 1963, TV1 is the first and oldest TV station in Malaysia. Currently, TV1 broadcasts 24 hours a day from 21 August 2012 onwards. Between 1972 and 1994, TV1 shared time with TV Pendidikan (Education TV) in the daytime on weekdays, this was cancelled after TV1 introduced full daytime transmissions on Tuesday, 1 March 1994. TV2 continued broadcasting TV Pendidikan until the end of 1999. TV1 broadcasts on VHF channel 5 and UHF channel 46 in Kuala Lumpur, but only the UHF signal could receive in the suburbs.